Mama Fashionista: Bring Out Your Dark Side with Your Favorite Disney Villain at Walgreens! Bring Out Your Dark Side with Your Favorite Disney Villain at Walgreens! This collection, including a weekender, organizer, train case and round top purse kit is inspired by the favorite foes of Disney’s classic tales. 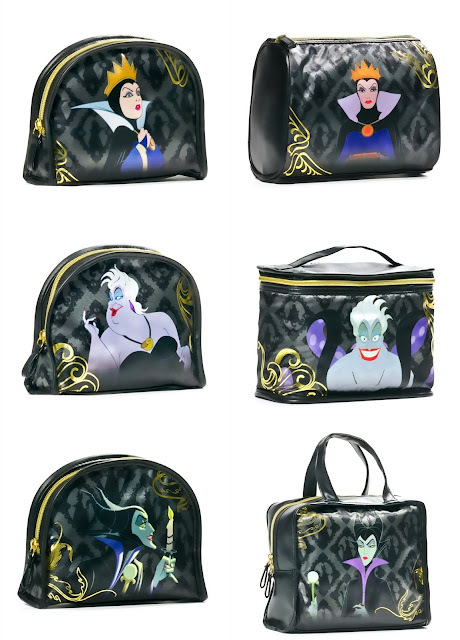 Known for versatile, long-lasting and on-trend cosmetic bags, LONDON SOHO NEW YORK® blends these infamously wicked characters and functional design in this latest collection to let out your dark side in style.